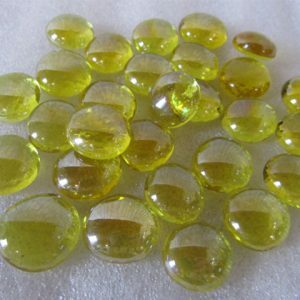 These opaque glass beads are 17-19mm in size, they have a flat bottom and a nice round shaped top. These beads have a nice shade of orange & red colour mixed with them. These beads are particularly stunning. These beads should not be kept out of reach of small children. 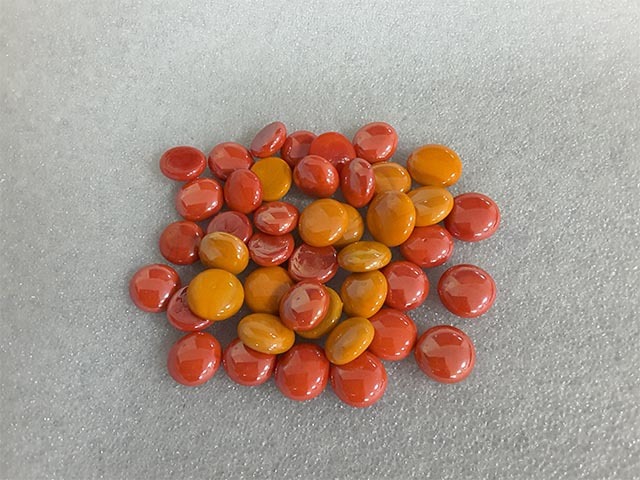 We are delighted to add these beads to our range, they have a lovely mix of colours, with a nice blend of orange and red. 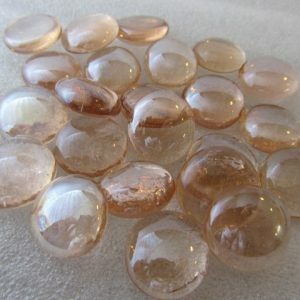 We can provide these beads in a range of quantities from small sample bags, 15kg or 25kg bags. 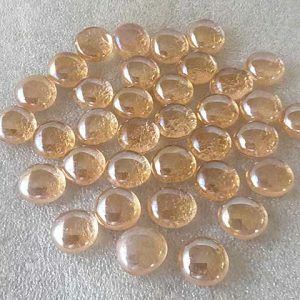 These beads are particularly stunning in floral or table displays. 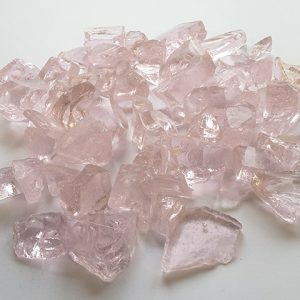 These are often used in combination with white opal glass beads, this provides a really nice combination of colours. 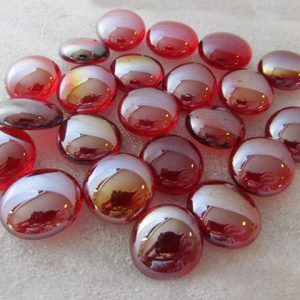 These beads have a really nice smooth appearance, with a nice flat bottom side to them. These beads are often used for lamp working or can be used for the decoration of memorials or kerb setts. 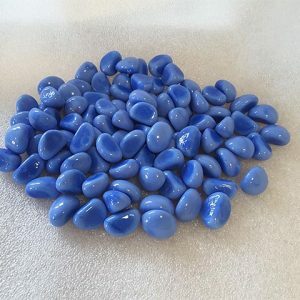 These beads are opaque and made from ceramic material, so their colour will not fade.